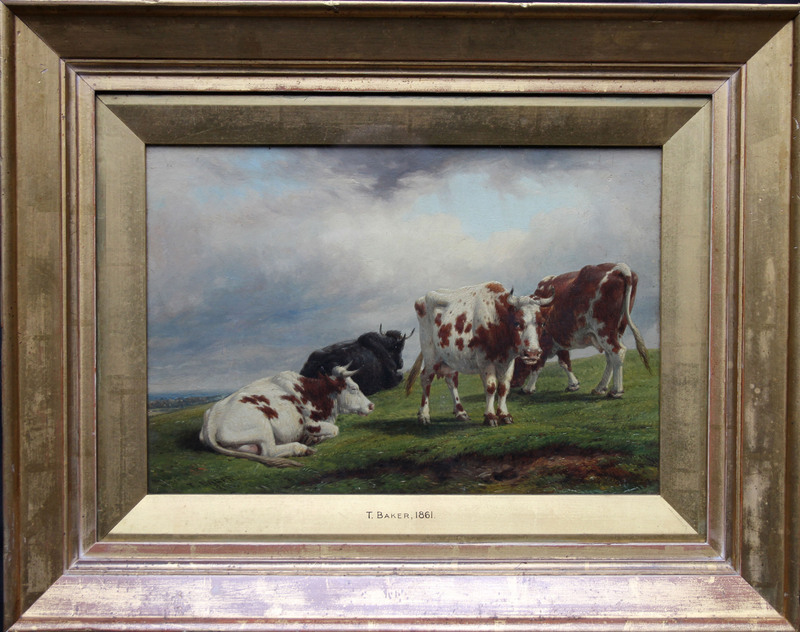 An original oil on panel by well sought after and collected Victorian landscape artist Thomas Baker of Leamington. This is a stunning painting and one of his best works. It is a large oil on canvas which was painted in December 1861 and bears the Thomas Baker reference 767 verso. 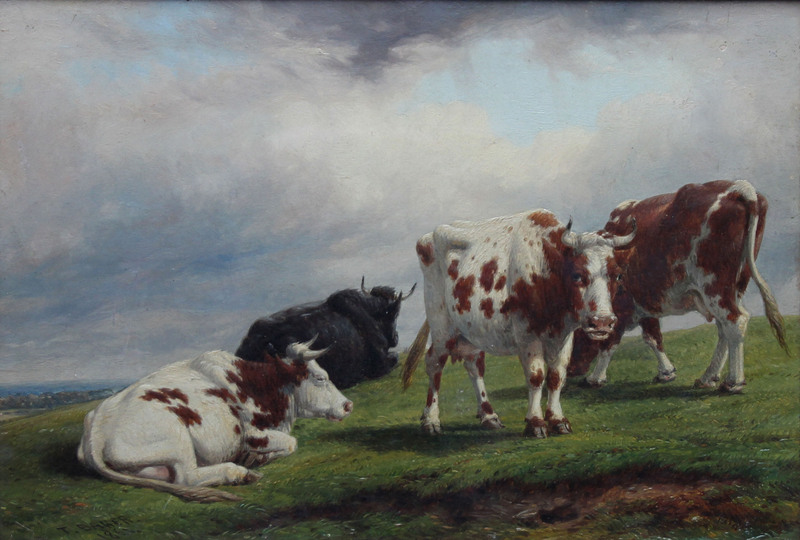 It depicts four cattle in a field with a blustery sky and is a very strong landscape. The condition is excellent. Housed in a gallery frame. 19 inches by 15 inches. In excellent condition and ready to hang.